Discounts for Wedding Planners, Preferred Customers, and More! Planners, Coordinators, Photographers, Venues and more! All wedding vendors are eligible for discounts on any purchase with BuySparklers.com. This includes planners, photographers, florists, venues and any other vendor making multiple purchases. Just set up an account with us to qualify. After your account is created, you simply log on to our website (or call!) to place an order and your discount will be automatically applied to any order of any size (discount does not apply to shipping costs). And all orders shipped outside of Texas are tax exempt. We look forward to working with you! Don’t forget to send us pictures of our sparklers in action! We love to post these beautiful pictures and will push them through our social media sites. Of course we will give you a shout out with links back to your social media sites too. You will fall in love with the beauty of our wedding sparklers and will see why most event venues only allow our sparklers for weddings! A great social media presence is essential for a business to grow. With most consumers making buying decisions based on social media posts, it is important to be visible. 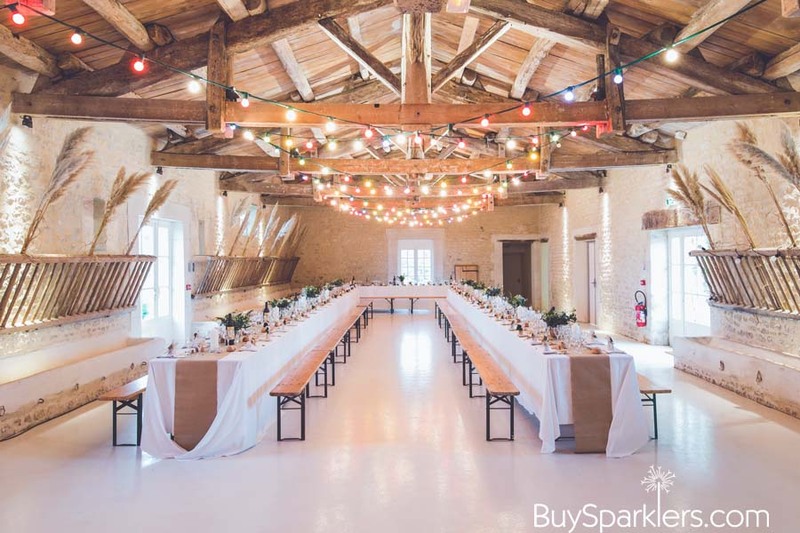 BuySparklers.com has pages & accounts on Facebook, Twitter, Pinterest, LinkedIn, YouTube, Instagram, Flicker and Wedding Wire. We invite you to like, follow and link to us. But more importantly, we want to follow and link to you, too! Every connection counts when building a social marketing network. Let’s work together to reach new customers! 2 – Send us YOUR information to link and follow! Email us at info@buysparklers.com with your request. 3 – Watch OUR businesses GROW TOGETHER!